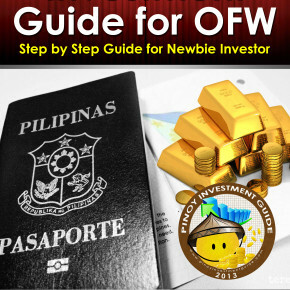 Are you an OFW and you want to start being involve in Stock Market? It was 3 years ago when I started investing via Stock Market and at that time I am really enthusiast to be involved in investing, but I don’t know what to do. So if you were in the same position as I am 3 years ago, this post might help you. So if you were in the same position as I am 3 years ago, this post might help you. If there are any comment, rectify the comments and then send again through email for checking. If everything is fine, send the documents via courier. Upon receipt of your account details, you may now load up your account with money via bank transfer or remittances. The money that you have deposited can now be used to buy stocks from different company. So that’s it, when your deposited amount is loaded in your brokers account, you may start buying stocks of different company. Hope this simple instruction can lead you to your investing journey. Previous postFinancial Literacy Goes to Riyadh Philippine Embassy With Angat Pilipinas Coalition [Updated] Next postNeeds Vs Wants, Do You Know the Difference? how do I know that this Pinoy Investment Guide is not SCAM? Sir ask Ko lang po kung saan bank mag open ng account..
Actually maraming bank po ang connected sa mga broker. Sa Colfinancial po pwede nyong gamitin ang Metrobank. Hello..is COL financial is good?